Nathan Legler is a farmer who is not afraid to think differently. Where most people see problems, he sees opportunities to gain new experiences. “I was taught that if I noticed something missing, I should look for a solution,” explains Legler who is the fifth generation on both sides of his family to farm in north central Iowa. Though he came from a small community, he certainly is not afraid to think big. Case in point, after a farming accident in the fall of 2011 kept him immobile during harvest, he built a website to bring ag-based news feeds together for quick news searches. He had always thought it would be helpful to have a one stop shop for ag news so instead of waiting for someone else to do it, he learned how to write code and did it himself. Today, OurAg.com attracts nearly as much traffic as other ag news websites and been approved for use as an iOS application. Now he has set his sights on strip-tillage and getting more economic-based research into the hands of growers. Despite his unconventional thinking in terms of tillage, Legler comes from a fairly traditional farm background. He works alongside his father and uncle to grow corn, soybeans, alfalfa, and run a 30 head cow/calf operation. The home farms are five miles apart with each person managing their acres, but sharing equipment and labor. Like many farmers in his area, Legler and his father have historically practiced full-width tillage and broadcasted fertilizer. Their soil is fertile and produces great crops. But after years of doing this, seeing the erosion, and looking at the costs, he thought there had be a better way to farm. And by better he thinks in terms of being more efficient with time, getting a bigger return on investment with inputs, and keeping more of his valuable topsoil on his field. 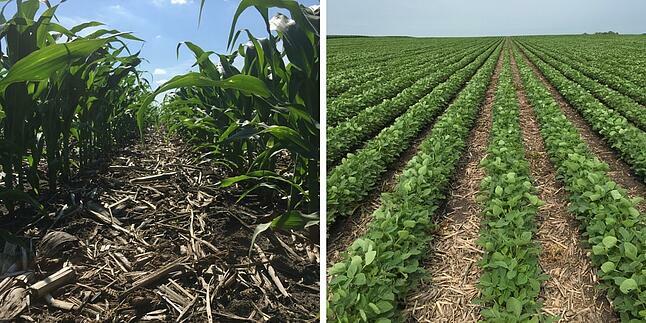 Last year Legler experimented with strip-till on some of his acres, which produced great results. Soybean yields in the plots topped out at 74 bushels per acre, 9 bushels more than his top yield with conventional practices. Even the corn yields in one field that Legler describes as a “disaster” because of rootworm, topped out at 215 bushels per acre. So he is expanding his strip-till research to more acres for 2016. Ultimately it’s not his goal to prove strip-till increases yield, but he knows money talks. “I want to explore the economic value of strip-tillage and analyze return on investment. I already know we can grow great crops by strip-tilling. There just isn’t enough data out there about fuel and fertilizer savings. That’s what more farmers need to know,” explains Legler. To say Legler is excited about the strip-till research and its potential results is an understatement. His energy is contagious as he describes the plan he put together with support from his local NRCS office. 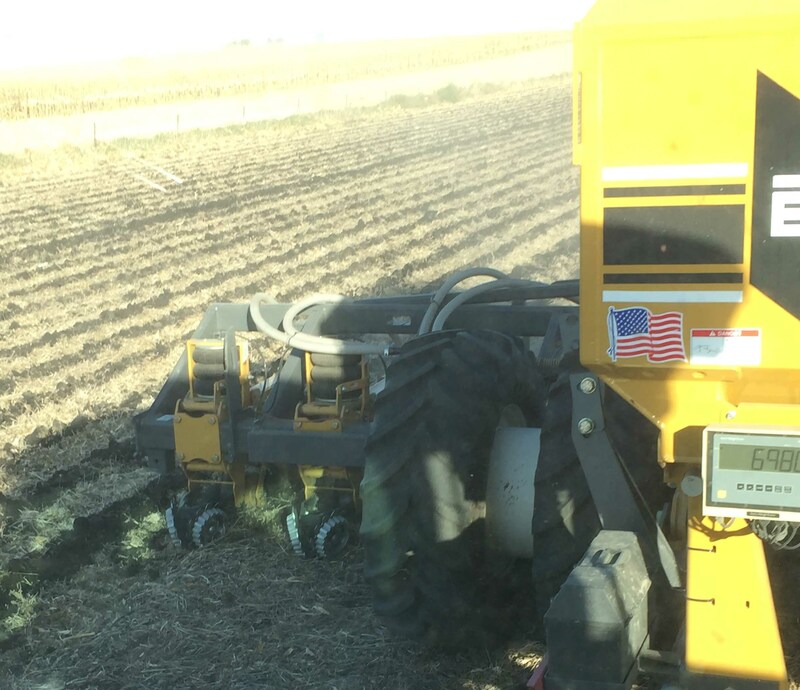 He chose to rent a 12-row SoilWarrior 4530SX system for the tillage and nutrient placement. The project officially began in October with a fall pass. 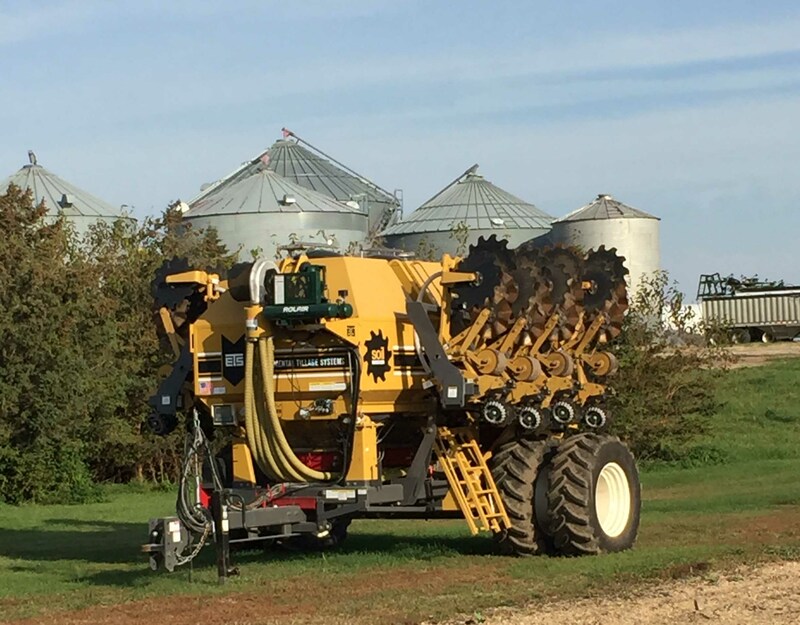 The SoilWarrior allowed him to variable rate his fertilizer mix of potassium/phosphorus/micros, place it into the soil, and blend it throughout the soil profile at a speed of up to 7 miles per hour. As he traveled back and forth across the field, he incrementally reduced his fertilizer until reaching 20 percent of what he would have normally broadcasted. He plans to make a second pass in the spring to refresh the zones, if necessary, on corn on corn acres and put down ESN. The research, which covers a total of 650 acres, will measure fuel usage and whether or not less fertilizer can produce similar yields when placed in the zone. He’s also planning to do some custom acres for neighbors so they can see how strip-till could benefit their farms. “My ultimate goal is to show farmers that they have opportunity to be different. I’ll never tell someone he is doing something wrong, but I do want to encourage others to try new things. It’s possible to be profitable and environmentally-conscious at the same time,” Legler says. We’ll be checking in with Legler to find out what he’s learning once the 2016 growing season begins. In the meantime, you can read about his experience putting in the strip-till plots by visiting Ourag.com. Interested in putting a SoilWarrior to work on your farm? Learn more about our rental and leasing options.